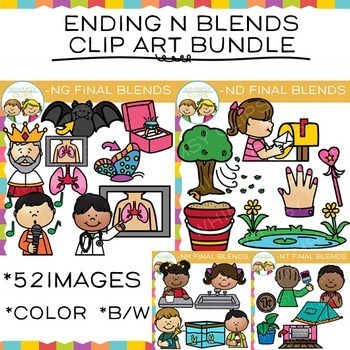 This Ending Blends clip art bundle contains everything found in the NG, NK, ND and NT ending blends clipart sets. This ending blends clip art bundle contains 52 image files, which includes 26 color images and 26 black & white images in png. All clipart images are 300dpi. * Buy the bundle and save big!